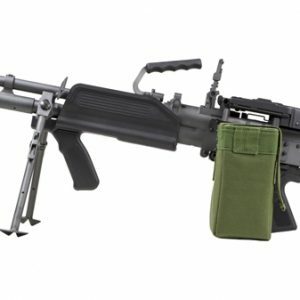 The “RPK-74” (Kalashnikov hand-held machine gun) game set is made on the basis of factory deactivated firearm of Vyatskiye Polyany Machine Building Plant production. 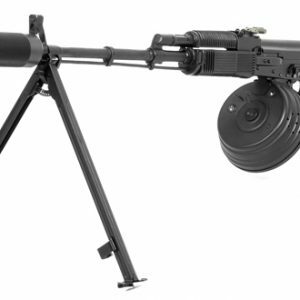 This machine gun has a folding bipod and “dovetail” mount for installing optical or collimator sights with a special adapter. Power is provided by Li + battery with 2,2 Ah capacity that guarantees at least 30 hours of work without Tagger recharging.